Jaco van Schalkwyk was born in 1981 in Benoni, South Africa. This background and his love for nature and animals informs his world view and inspires his work. 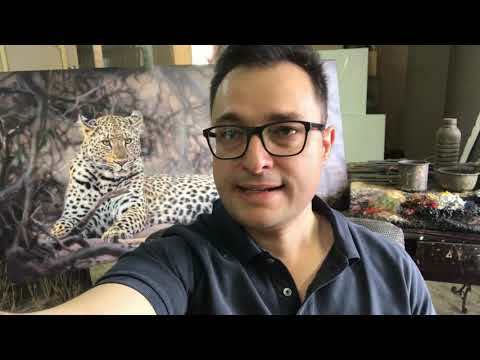 He currently lives in Johannesburg and regularly goes on safaris to some of the great Southern African National Parks to intimately experience wildlife. Jaco holds a BA degree in Historical Studies from the University of South Africa, and has visited some of the world’s great art museums, allowing for a broader exposure to historical and contemporary art. Residency Awards include the New York Art Students League (2008) and in 2013, Jaco won a highly coveted merit award in the ABSA L’Atelier competition in South Africa, with the prize being a 2 month residency at the Uunst:Ranm, Sylt Qwelle in Germany along with a solo exhibition in the prestigious ABSA Gallery in Johannesburg in June 2015. Jaco’s work is represented in several collections in South Africa and abroad, which include the South African Reserve Bank, ABSA Bank, the RMB Corporate Collection, Ellerman Collection, the University of Johannesburg and the University of Pretoria.